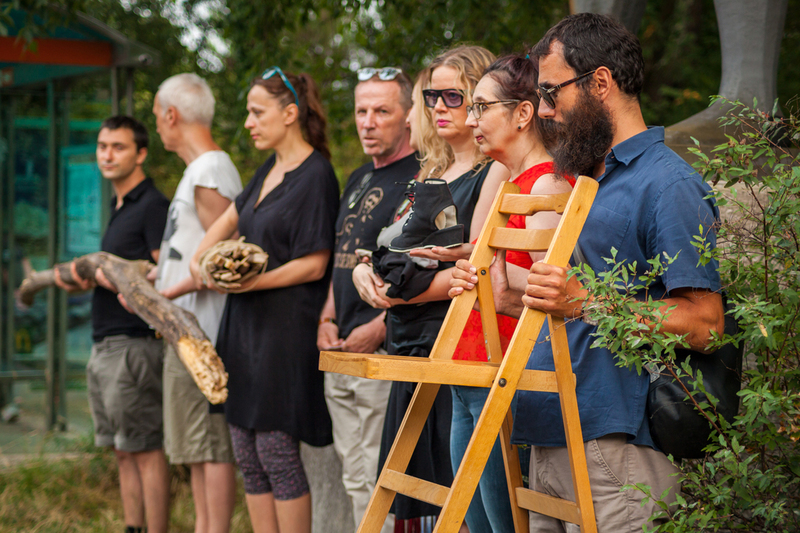 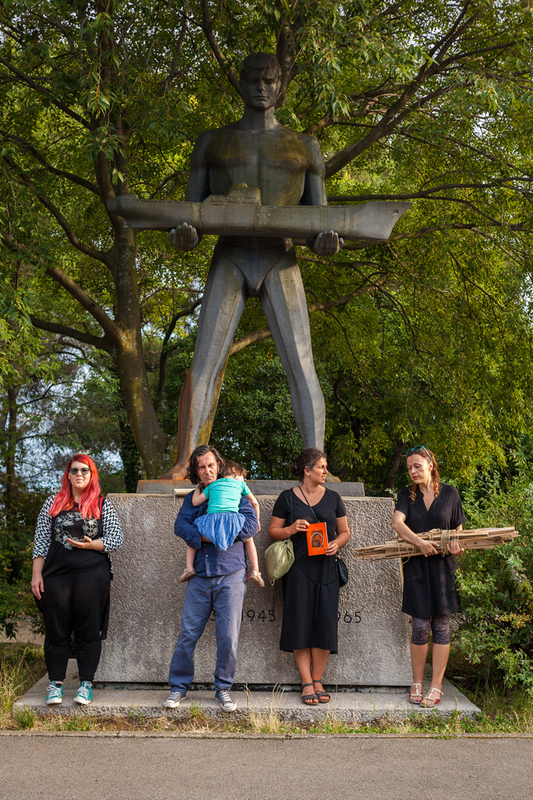 8-hour performance for On the Shoulders of Fallen Giants – The 2nd Industrial Art Biennial, Labin | Raša | Pula | Vodnjan | Rijeka. 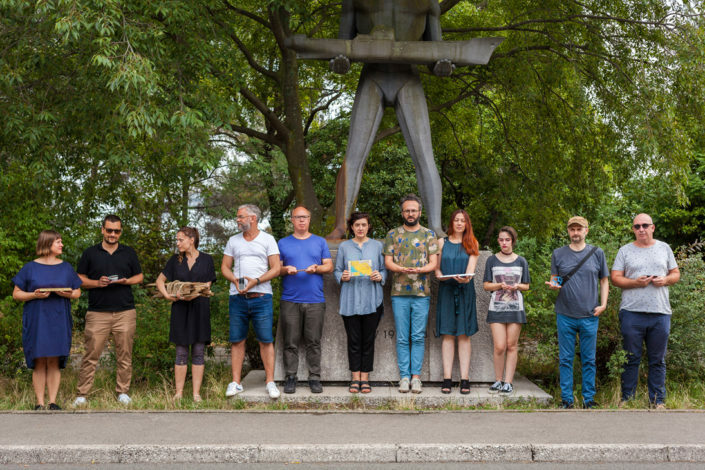 Curated by WHW. 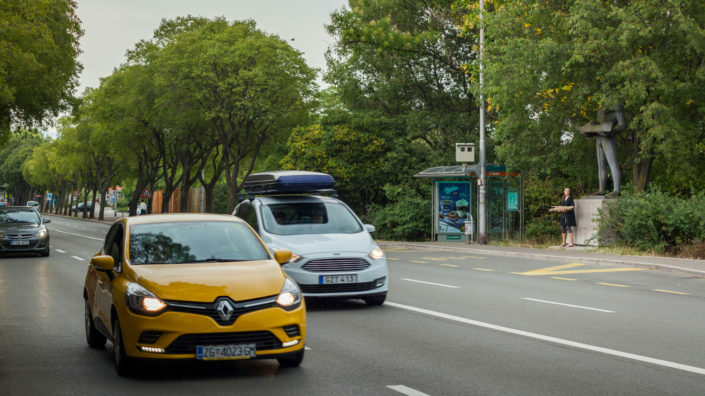 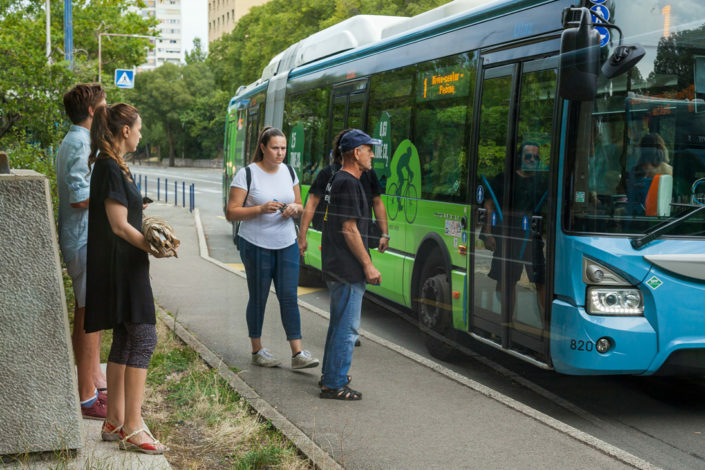 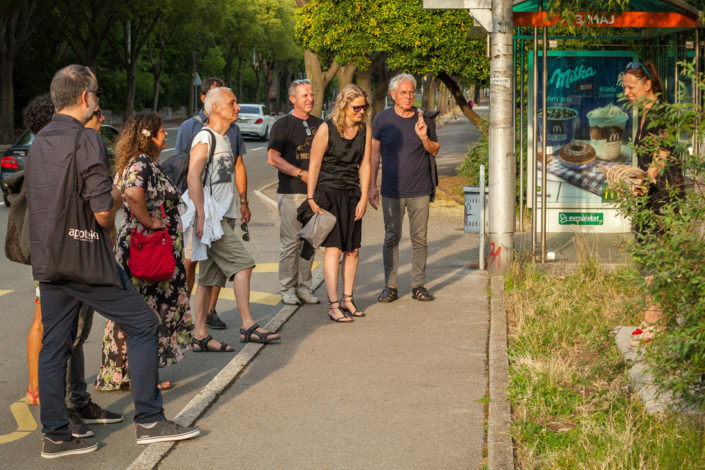 Part of Rijeka Cultural Capital of Europe 2020. Organizer: Labin Art Express, MMSU Rijeka. 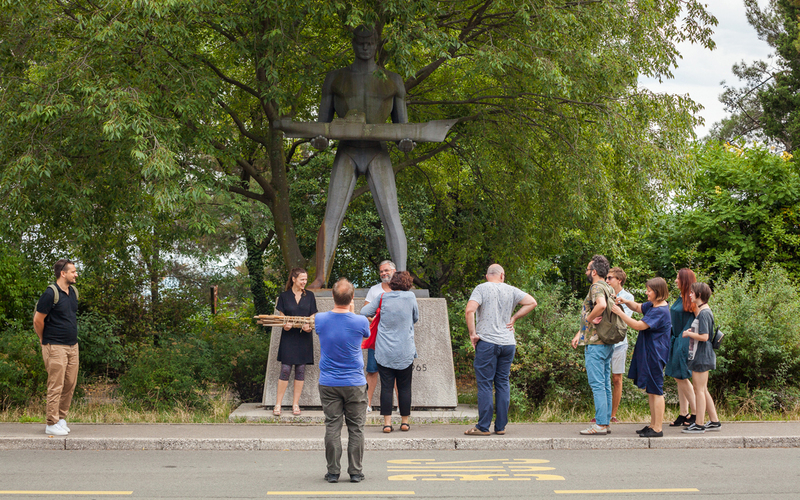 In the 1965 statue at the entrance to the shipyard 3. maj, a larger-than-life male figure cradles a model ship, watching over it in a gesture of profound attention, care, and pride. The man and the ship – a labourer-as-maker and the thing he made – mark the long-standing relation between people and the sea, humankind’s search for agency over natural forces, and its ability to build machines that conquer distance. 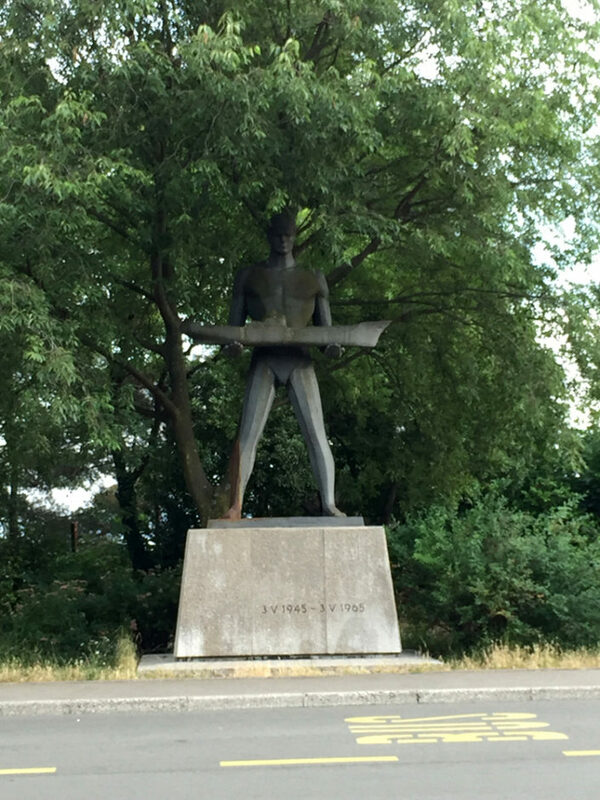 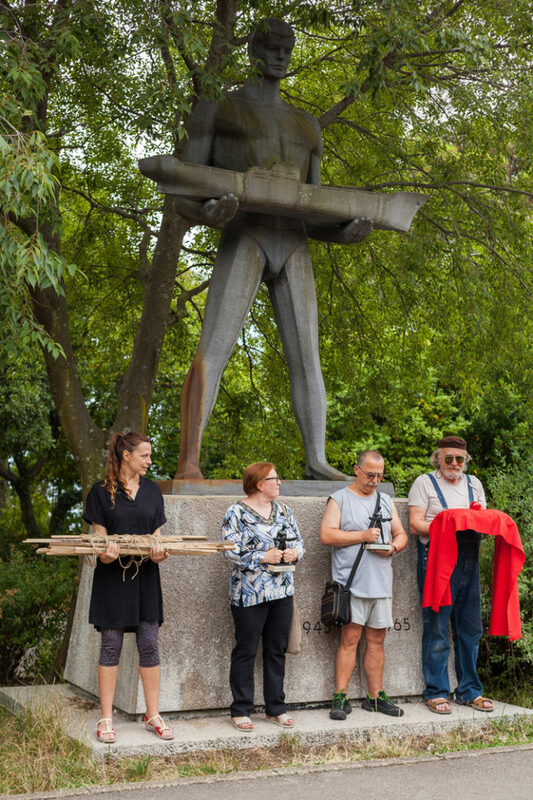 Standing tall on the side of the road, with his head partially covered by the crown of a tree, the statue both celebrates and memorialises – and in the current context also mourns – the industrial heritage of shipbuilding and seafaring, the work of the port, and the labour of the hands. 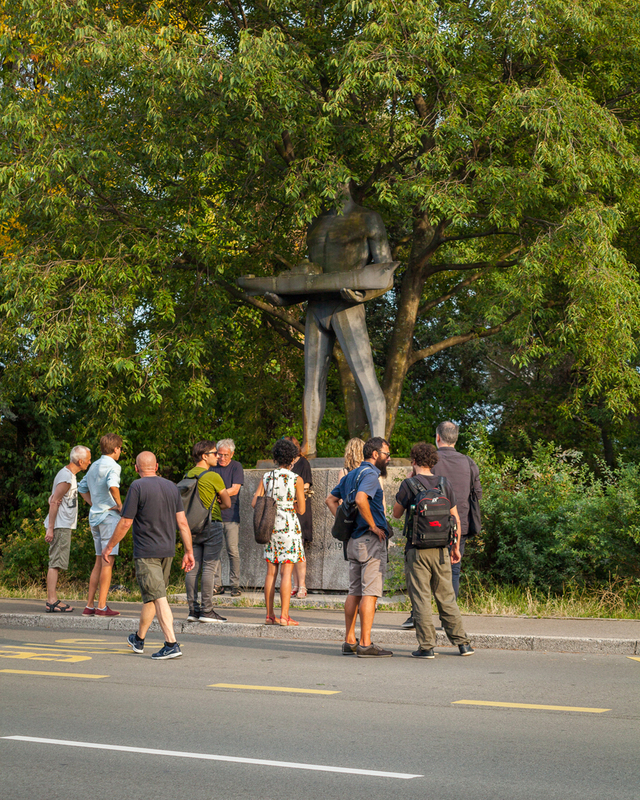 Installed on the 20th anniversary of the liberation of Rijeka, the statue stands next to the entrance of the shipyard. 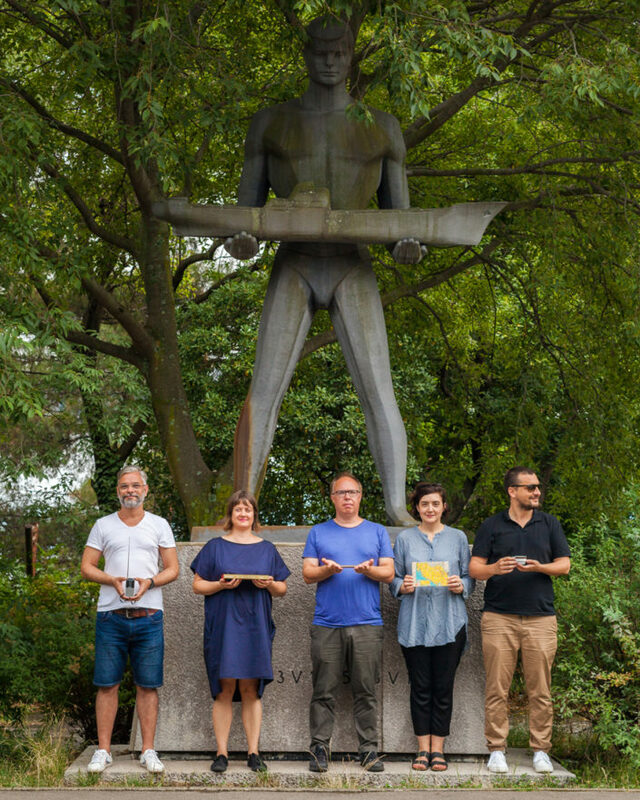 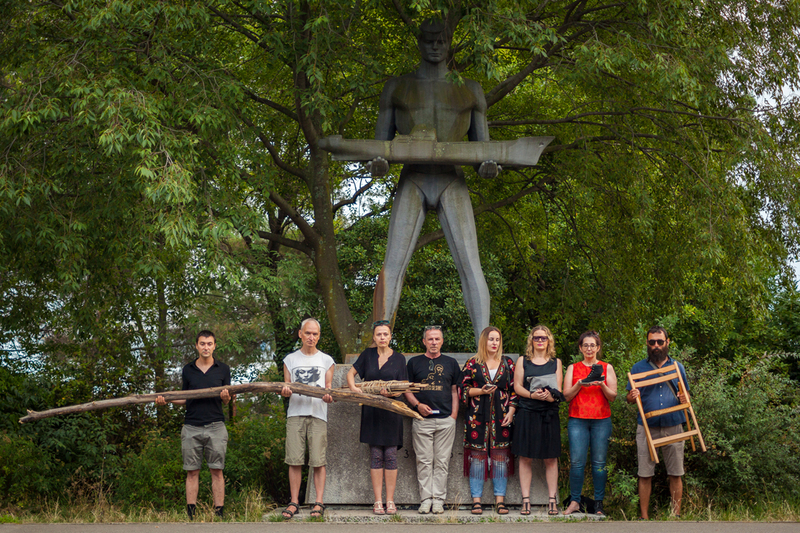 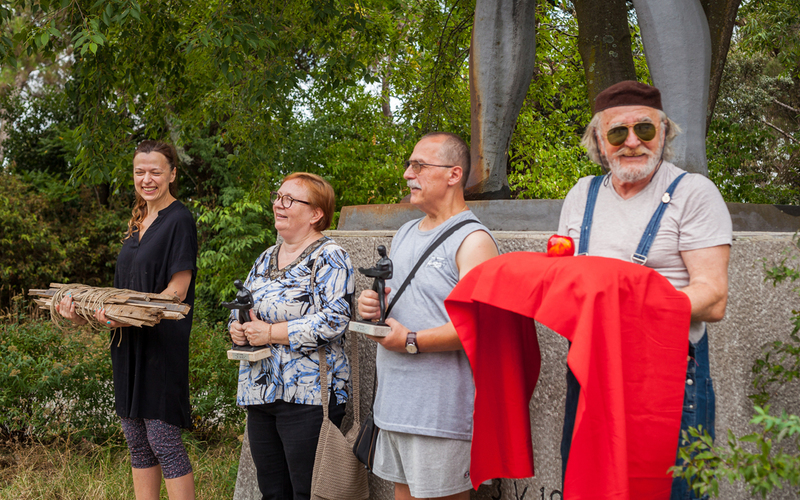 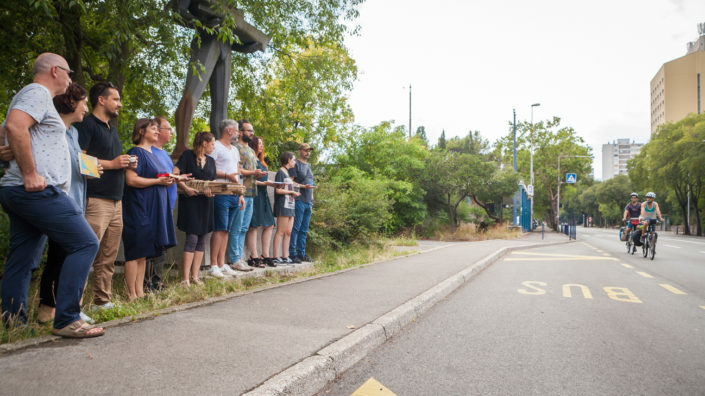 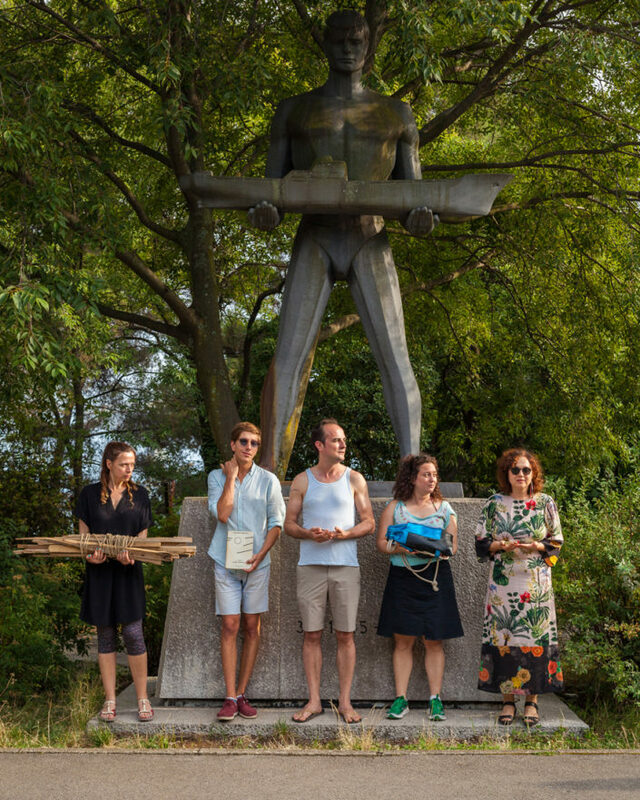 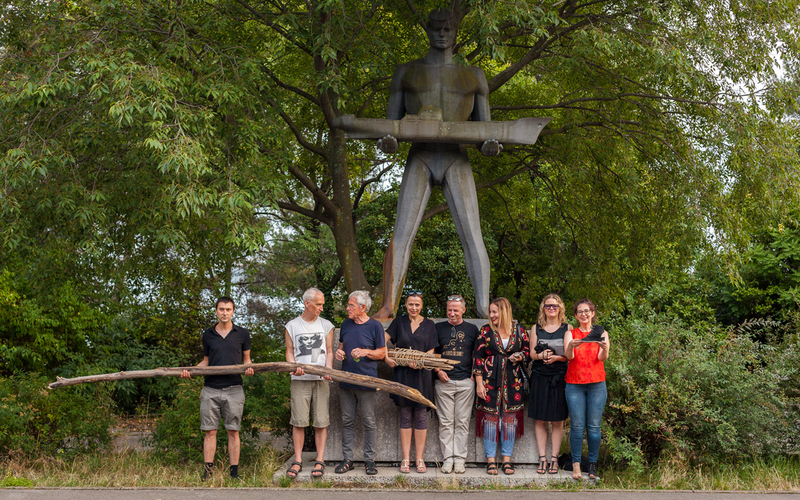 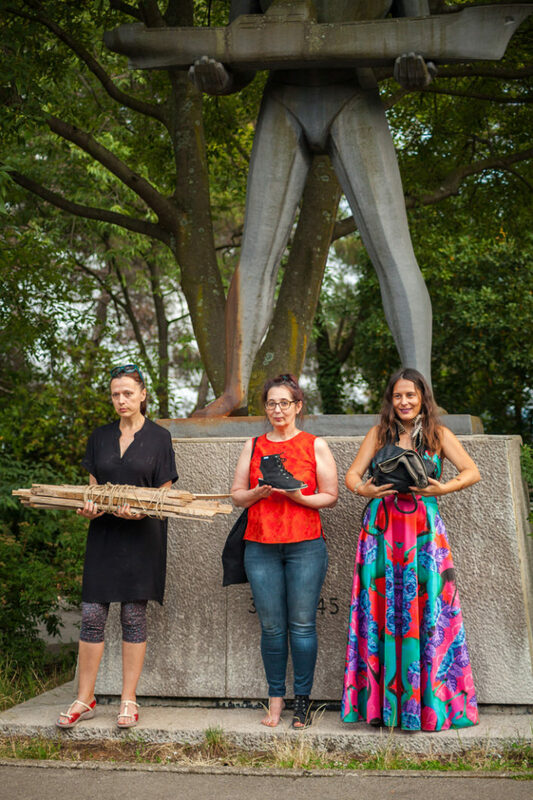 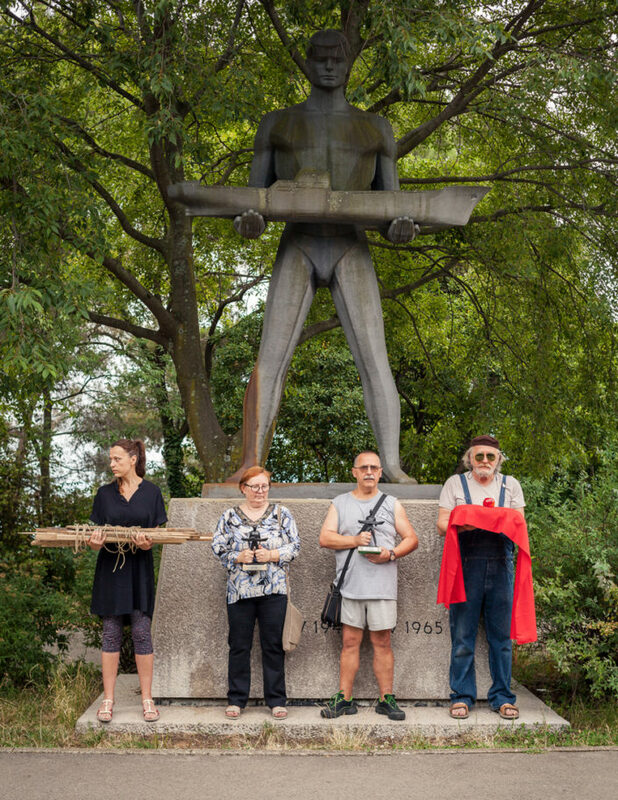 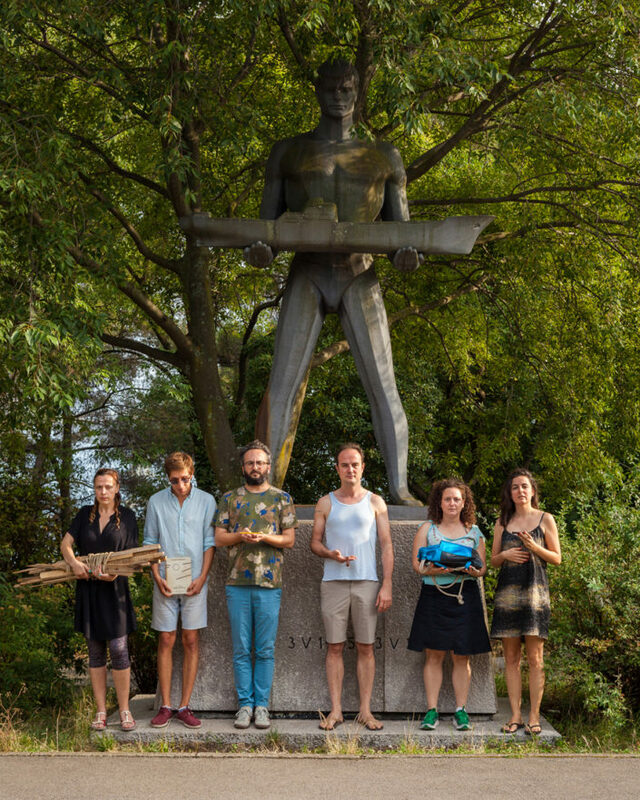 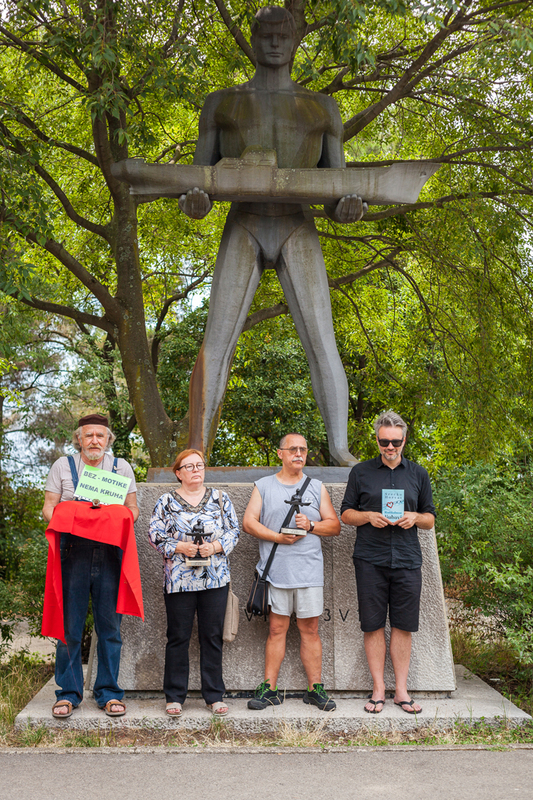 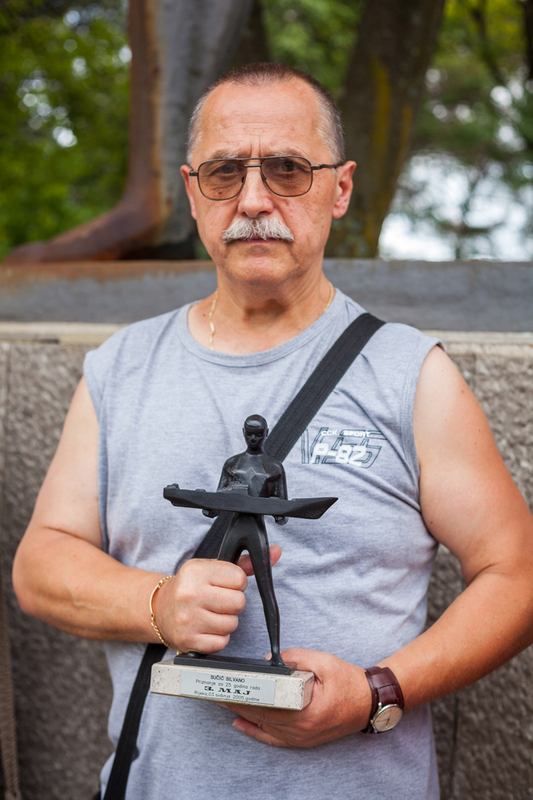 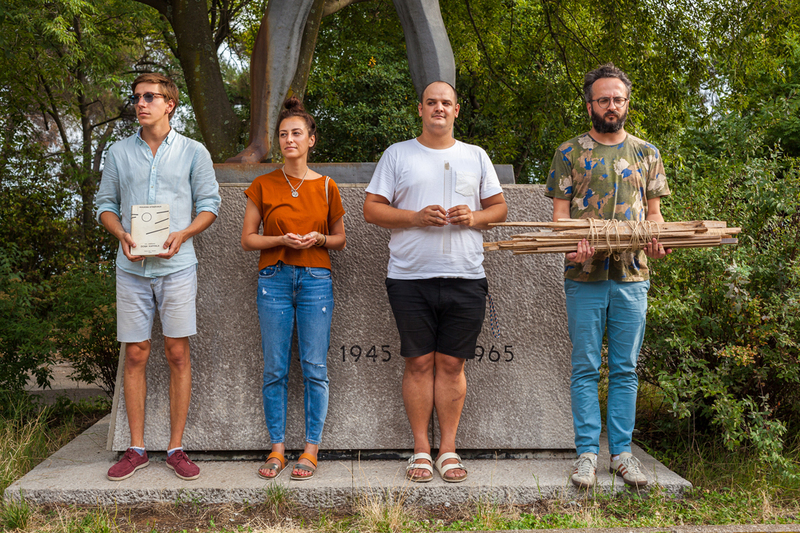 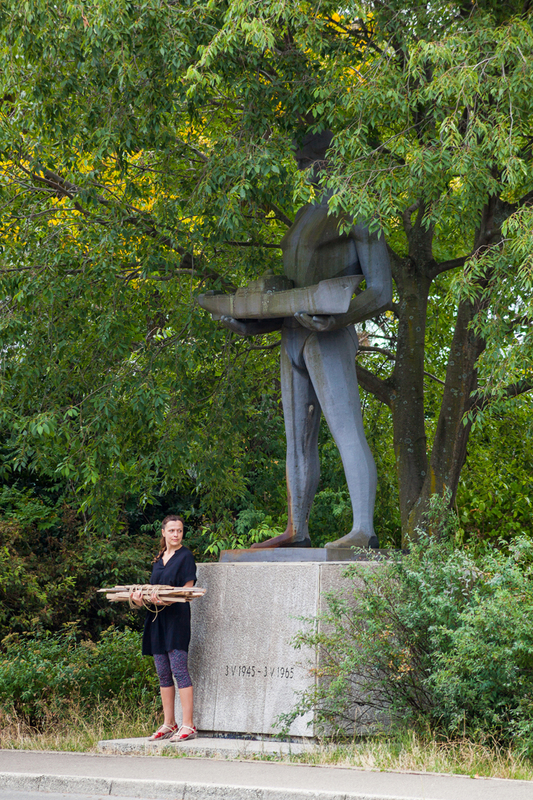 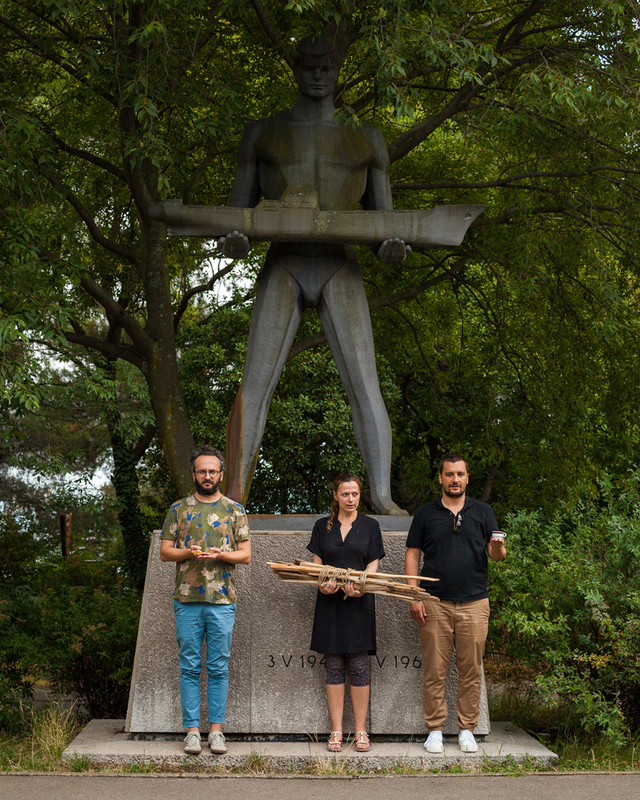 In a gesture of solidarity with the statue, artist Vlatka Horvat organises a performance in the form of a vigil, an action of joining the statue’s inanimate figure and standing with him holding other things worthy of being looked after, or celebrated. 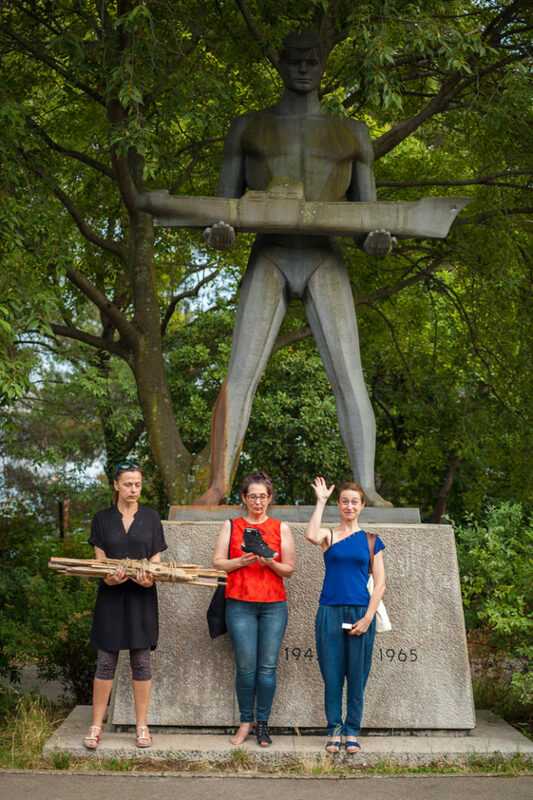 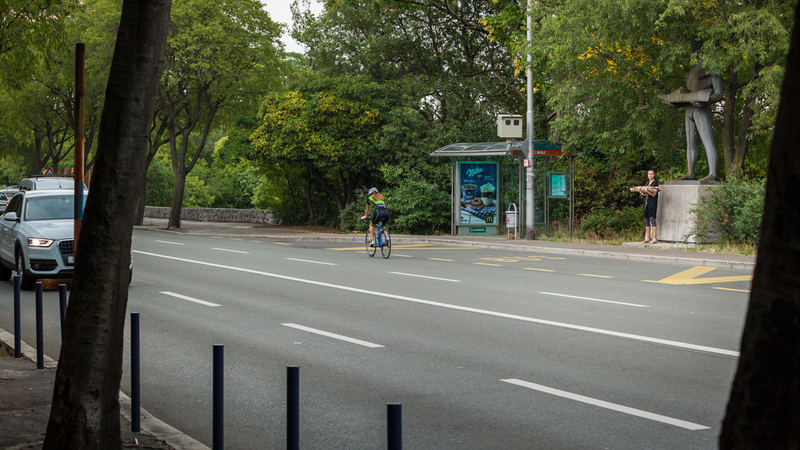 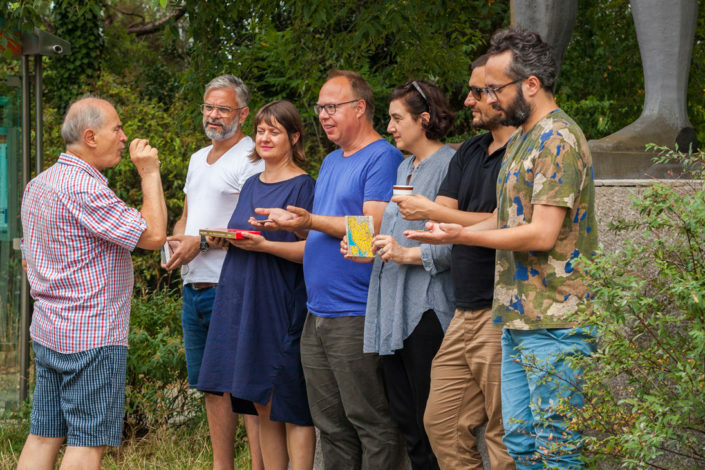 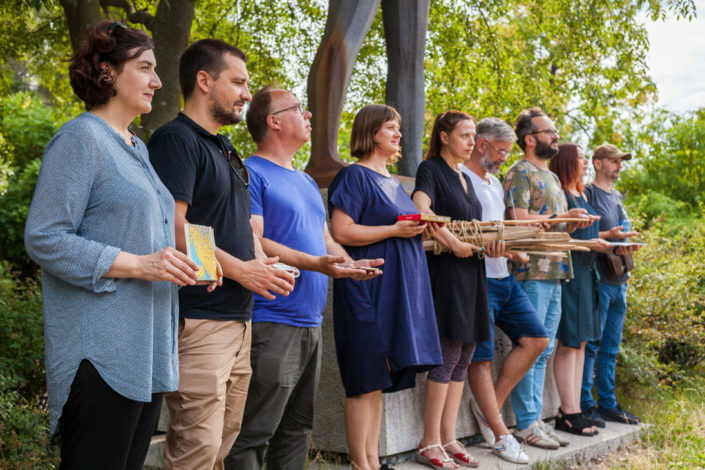 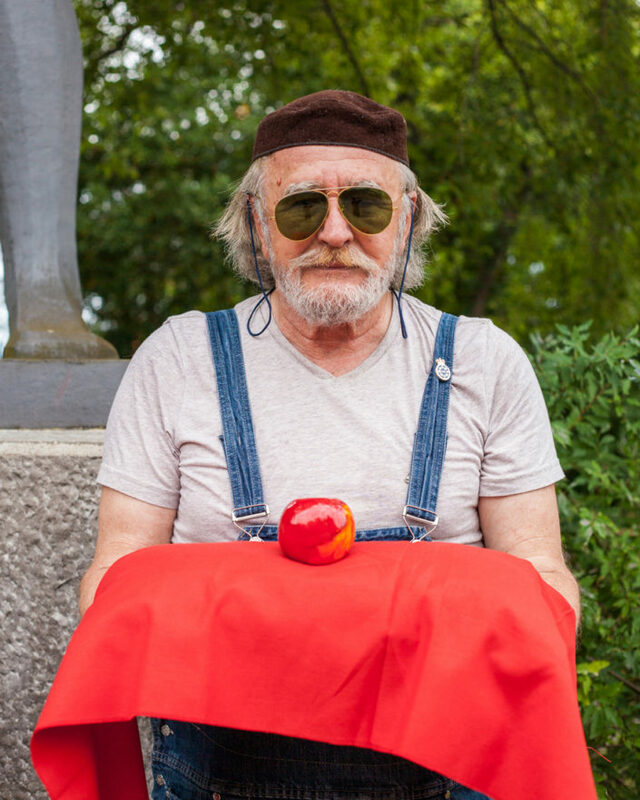 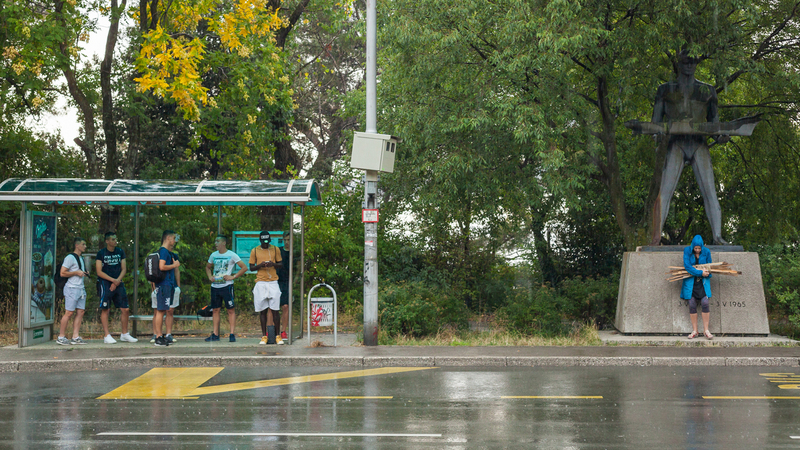 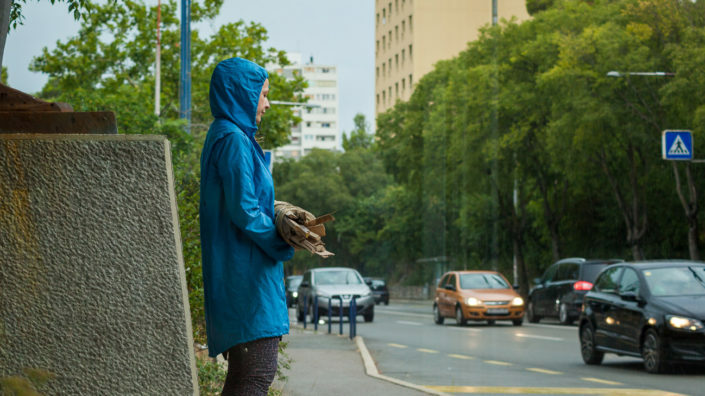 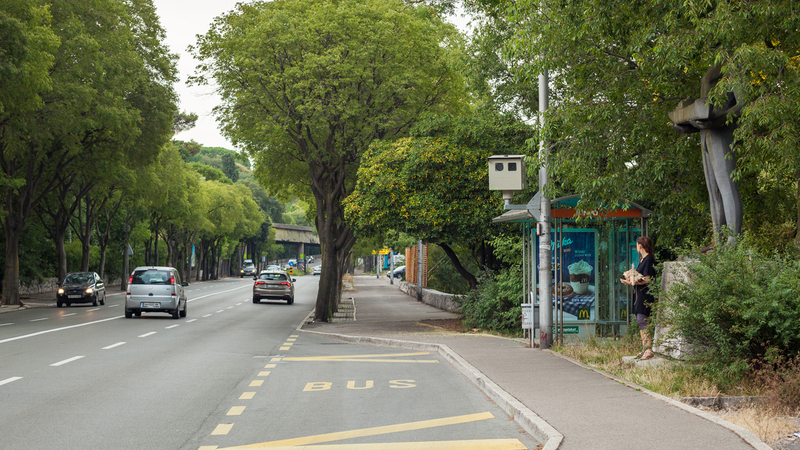 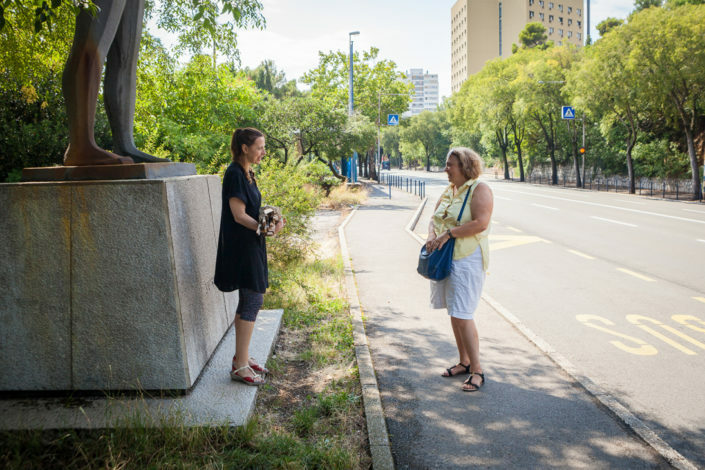 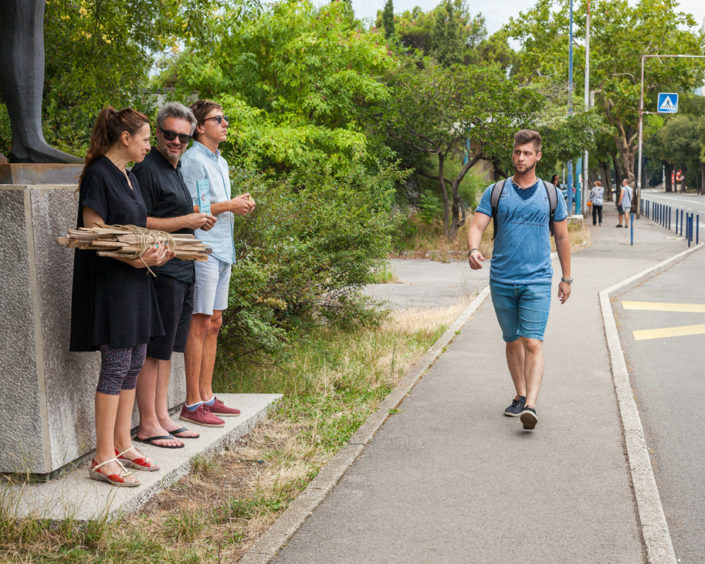 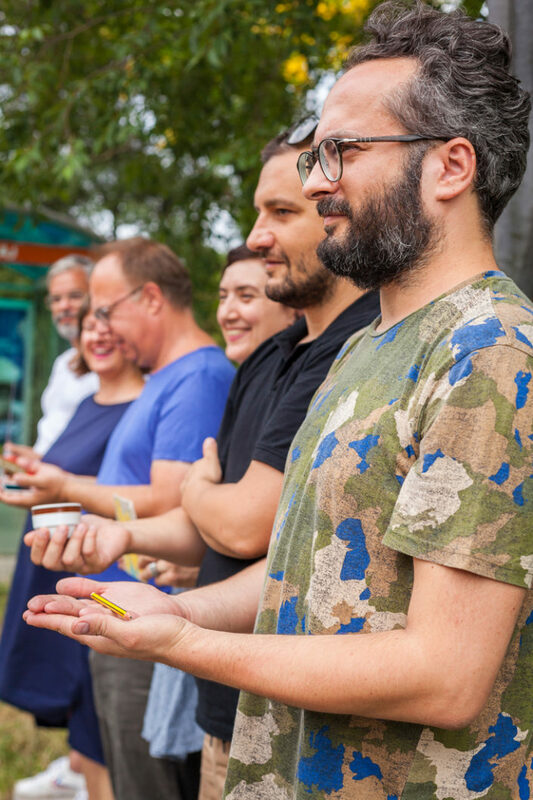 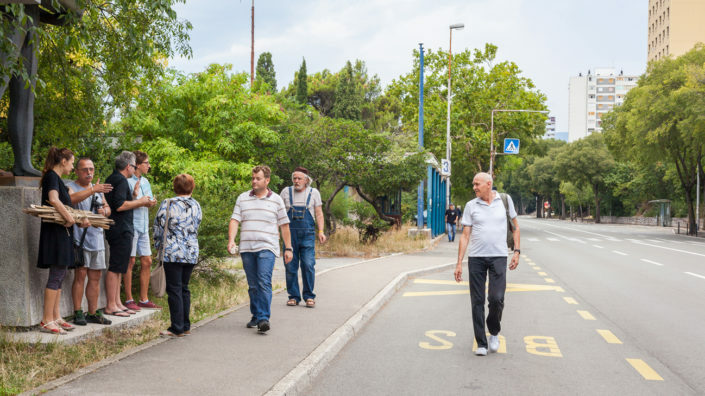 Horvat invites artists and residents of Rijeka to join her at the statue, with an object they want to watch over, take care of, or magnify – a work tool perhaps, a personal item, a photograph, an item of clothing, a thing they made. 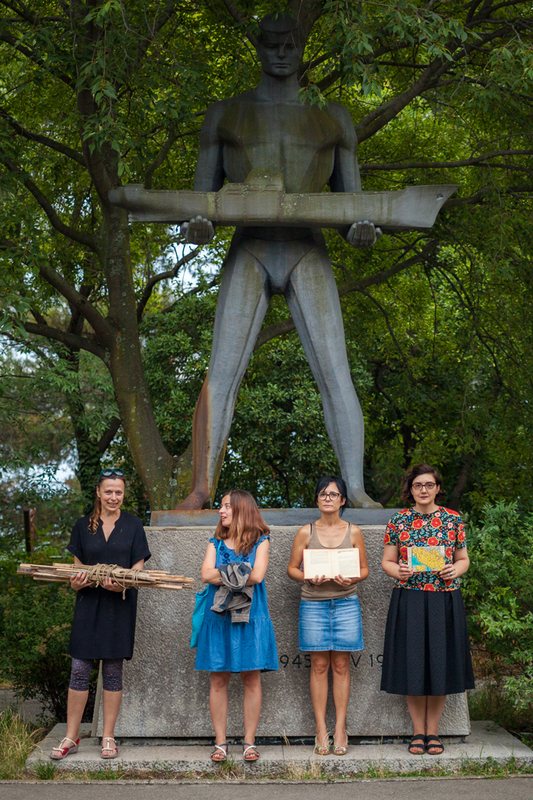 Things to be held alongside the man holding the ship might reflect one’s work and pride in work. 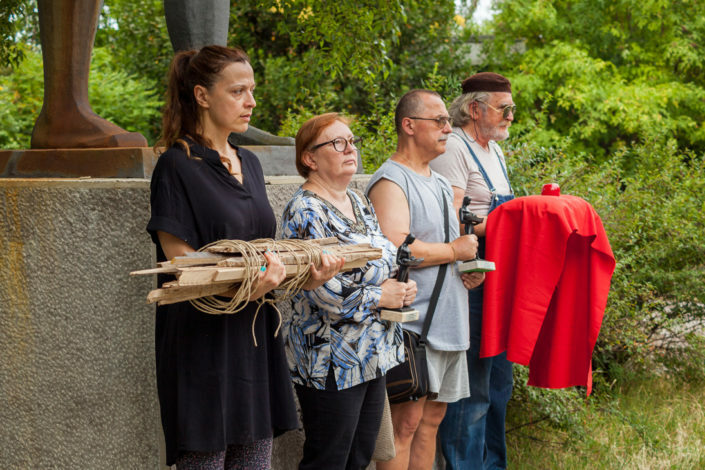 Or they might speak of personal narrative or social change; they might speak of things lost, of lives lost, of memories that persist, or of hopes for the future. 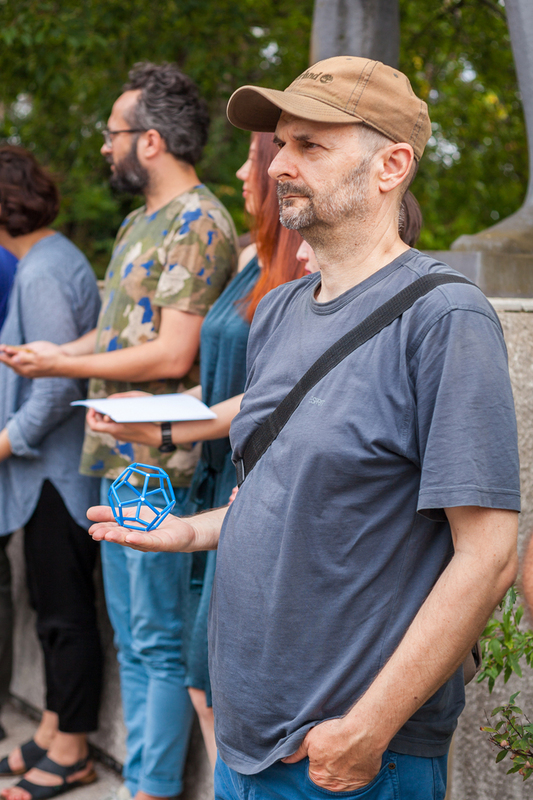 They can be objects of actual importance or significance, or metaphorical objects that in some way stand for the thing a person may want to recognise, bring public focus to, or simply mark.